The international premiere of the Chinese director's latest film will open the Berlin International Film Festival February 7th. 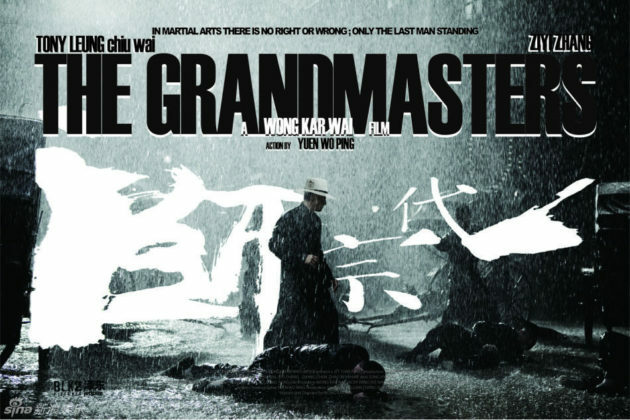 The film is described "an epic martial arts drama set against the tumultuous backdrop of 1930’s China and inspired by the life and times of the legendary IP Man (Tony Leung Chiu Wai), mentor to Bruce Lee. The plot encompasses themes of war, family, revenge, desire, love, and memory." The film will screen out of competition. Wong is serving as this year's president of the jury at the Berlinale. Jolie is in final negotiations to direct Unbroken, the unbelievable story of Olympian-turned WWII POW Louis Zamperini. The Universal and Walden Media project is is based on Unbroken: A World War II Story of Survival, Resilience and Redemption, the book by Seabiscuit author Laura Hillenbrand, Deadline reports. Voight is in negotiations to play a critical part in Reagan, one of at least three upcoming films about President Reagan. His role is playing a Soviet KGB agent whose job it was to track Reagan, the 40th U.S. President. The movie is based on The Crusader and God & Ronald Reagan, two books by Paul Kengor, THR reports. Sci-Fi pic Riddick will open in the U.S. including IMAX September 6, 2013. The feature is the third chapter of the saga that began with 2000′s Pitch Black and 2004′s The Chronicles Of Riddick. Vin Diesel returns as the anti-hero, Riddick, Deadline reports. Breakfast at Tiffany's, A Christmas Story, Dirty Harry and The Matrix are among the "culturally significant" titles to be included in the National Film Registry in the Library of Congress. The NFR was established by Congress in 1989 to preserve U.S. film heritage, Variety reports.